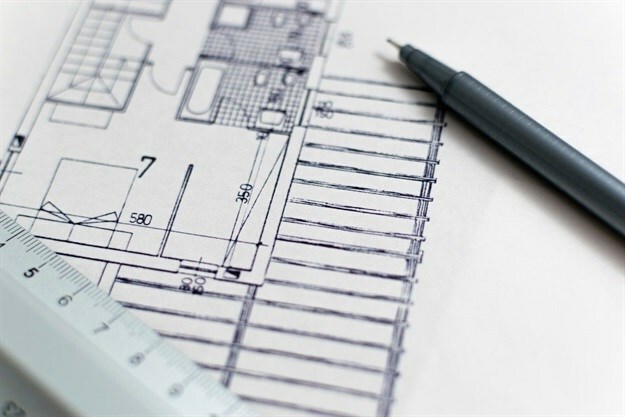 In order for a residential property to be sold or for a bond to be acquired, South Africa's banks are increasingly insisting that the property has up-to-date building plans which have been approved by the local municipality. Rowan Alexander, director of Alexander Swart Property, explains that to be fully compliant, the seller or the buyer has to be able to show that the building was awarded an Occupation Certificate, confirming that the construction was done in accordance with the approved plans and the regulations pertaining at that time. To qualify for such certificates, the building will have had to be inspected at specified stages by a licenced building inspector. The same process should have been followed on any subsequent alterations or extensions. Quite often, says Alexander, the inspector will have been called in during the initial stages of construction but not towards the end - with the result that no Occupation Certificate was ever issued. Quite often, extensions and alterations were done without any plans being submitted to the council for approval, or without the building inspector being brought in. In nine out of 10 homes that Alexander has been involved with as an estate agent, the building plans are either missing or, more frequently, not up to date. “In a typical scenario,” he said, “the owner will add on a patio without permission and then, a few years later, enclose it as a braai room; again without any plans being submitted. Or he may convert a garage into bedroom, again without any attempt to make it legal.” Sometimes owners simply do not know when they need to get approved plans. Others think that by doing the work themselves and “sneaking the job through”, they are saving considerable sums of cash – forgetting that later this will make it difficult to sell or pass the home on to heirs. Similarly, they may employ a substandard builder who either ignores or does not know the regulations. Every home owner, says Alexander, should as soon as possible ( i.e. right now) check that plans are available and if so, that they correspond in all respects with the building as it now is - and is compliant with the building regulations. If it transpires that the owner has no plans, he can try to obtain copies of those lodged at the municipality. Having found the plans and the owner feels that he is not up to checking whether they conform, he should consult an architect to assist him. In the event of defaults, the owner should take steps to rectify the omissions and errors. In some cases it will be necessary to ask the architect to redraw the entire plan of the home as it now is and resubmit this for approval. This could be expensive - but there may be no other way out. Some home owners, says Alexander, take the attitude that as they do not intend to sell the home in the foreseeable future, they can leave the gaining of approvals for a later date, or to others, such as their heirs. Experience has however shown that people regularly have to sell earlier than they expect e.g. for health or financial reasons. As the obtaining of fully approved plans can take months, Alexander says it is better to do it now. To delay will simply compound existing difficulties – and could place big burdens on others.